W 1885. 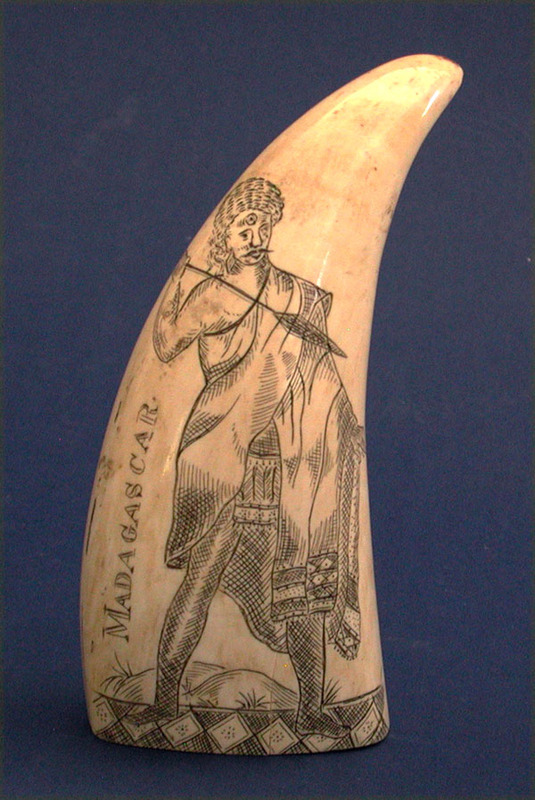 19TH CENTURY SCRIMSHAW TOOTH boldly engraved on one side with a portrait of a mustachioed native warrior from the island of Madagascar. He is in full costume and holding a large spear. Behind him is the caption "MADAGASCAR". Exact tooth illustrated on pg 98 in Flayderman's "Scrimshaw and Scrimshanders". 6" h. x 2 3/4" w. Condition excellent. Circa 1840-50. Interesting subject matter.